The iPhone features a smart update feature applications that run in the background. This application detects the programs used most frequently and ensure that they are constantly updated with the latest version. If you use many different daily applications, this may mean that the iPhone is doing a lot of work when it really should be sleeping. 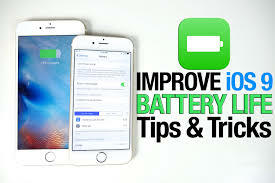 By preventing the application from updating in the background, you can easily extend battery life. The auto-brightness option is the lower power option to control the screen brightness. The iPhone also has an ambient light sensor that sits in the background and adjusts the brightness as needed to match the situation. However, let this type of application or similar feature running constantly in the background life quickly drain the battery. Bluetooth constantly quit soon begin to use up the battery life. If it is not likely to be used for several days, you can also turn it off. The iPhone has built-in GPS which is handy for giving directions, finding a restaurant or other uses of the map. Many people rarely use location services so you can benefit by turning this feature off to help conserve battery power. Most downloaded applications are designed to automatically update when the most recent version is published. If you have many applications that are not used, it can often be more convenient to disable this feature and manually update the most commonly used applications. There is no need to fully drain battery life before the next charge. It can benefit to prevent lithium ions from reaching 0%. The preferred option is to keep the battery at about 50% or more. Once the battery life drops below this mark, you may want to give it a recharge. However, there is no need to complete a full daily recharge. Constantly charging the battery at 100% long-term start to shorten its life. The best option is to keep the lithium-ion battery charged with about 40% to 80% battery for best long-term performance. Oh, very useful tips. Will pass the link on to the husband. He's an iphone addict. Can you share some tips for android users too? Thanks for the tips. I'm an Android user myself, but was thinking of switching to iPhone so this is really helpful. Some great tips, I'm an android user though! I think these are handy tips so save batteries! Should try some of these on Android as well!